Deana Zamzow is a licensed Occupational Therapist. She earned her Bachelor’s degree, majoring in Psychology in 2007 from West Chester University in West Chester, Pennsylvania. Deana then went on to earn her Master’s degree in Occupational Therapy in 2009 from Temple University in Philadelphia, Pennsylvania. Deana has gained experience in a variety of settings including the inpatient hospital and outpatient clinic at Weisman Pediatric Rehabilitation Hospital (Marlton, NJ), homecare throughout eastern Pennsylvania, outpatient pediatrics in Idaho and has been with NNH for over 3 years. Deana has loved having the opportunity to work with children and their families at NNH, and looks forward to many more years. Deana has experience working with children (6 months to 20 years old) with a variety of medical diagnoses including Autism, Seizure disorders, Multiple Sclerosis. Cerebral Palsy, Attention Deficit Hyperactivity Disorder (ADHD), Prader Willi Syndrome, Down Syndrome, varying degrees of cognitive, sensory processing, and developmental delays. 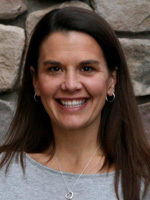 Deana has always had a passion for working with children and also worked at Idaho State School and Hospital with duel diagnosed children and teens before earning her degree as an Occupational Therapist. She has also broadened her occupational therapy experience by doing volunteer work in a group home setting with children and teens developmental differences in Gent, Belgium and in a children’s orphanage and mobile medical clinic Tanzania, Africa. Deana is also an Occupational Therapy Fieldwork Supervisor and provides clinical supervision for graduates students gaining the required hands on clinical experience while pursuing their degrees. Deana was recently married and is loving being with her husband in their crazy busy lives. In her free time, she enjoys spending time with her family, cooking, traveling, going to movies, attending and participating in sporting events, boating, camping and doing pretty much anything outdoors.